Does the SPG Amex card now give Marriott Bonvoy Silver? On Friday I ran a short article on the fact that Marriott has announced that the two UK credit cards earning Marriott points (the closed Marriott Mastercard and the SPG American Express) were not rebranding despite the programme name changing to Marriott Bonvoy on 13th February. The SPG Amex information came from this page of the Marriott website. Looking at that page again, I spotted something interesting. 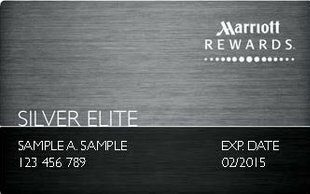 Receive automatically a Marriott Bonvoy Silver Elite status [sic] that gives you 10% more points on every eligible hotel purchase, Priority Late Checkout, a dedicated phone line for Elite members and our Ultimate Reservation Guarantee. Yes, it seems that the SPG Amex now comes with a Marriott Bonvoy Silver Elite card. This is not entirely surprising. Previously the SPG Amex came with a weird level of Starwood status called ‘Preferred Guest Plus’, which wasn’t even an official status level. I wrote about that here. American Express never advertised the fact that you got SPG Preferred Guest Plus status. If you take a look at the application page for the SPG Amex, you’ll see that Amex isn’t advertising the fact that you get Marriott Bonvoy Silver Elite either. You can see the different Marriott / Starwood tier levels here. Here’s one important point: the Marriott site implies that you get Silver Elite status and not 10 elite status nights which automatically gets you Silver Elite status. There is a big difference in this, because the latter puts you 15 nights closer to Gold, Platinum or Titanium Elite. The former does not. The SPG Amex would have been a lot more attractive to regular Marriott guests if you were given 10 elite status night credits which is what happens in the US. What other benefits do you get with the Starwood Preferred Guest American Express? Before we go on, I am obliged to remind you that the representative APR on this card is 39.7% variable, including the annual fee, based on a notional £1,200 credit limit. The interest rate on purchases is 22.9% variable. One other recent change to the SPG Amex is the free night voucher you get when you spend £25,000 on the card in a year. However, don’t get carried away. Spending £25,000 on an Amex card is NOT easy – and your only reward is a free night at a relatively low-rent hotel. Despite the rubbish free night voucher, should you consider getting the SPG American Express card? The sign-up bonus is 30,000 points. 30,000 points is good for around £150 of free hotel nights or will convert into 10,000 miles with over 40 airlines, including Avios and Virgin Flying Club. A 1.5% return on your spending isn’t bad at all. I have been using my SPG Amex heavily recently, because I have enough Avios and Virgin Atlantic miles for now and this is the best non-BA/Virgin card in my view. Now that Emirates, Etihad, American and United no longer have UK credit cards, the Starwood Preferred Guest Amex is the best way to earn miles in these programmes. There are also 30+ other airlines who never had a UK credit card, such as Air Canada and Qatar Airways, where this credit card is the best way to earn miles in the UK from day to day spend. As I wrote above, this appears to be a new benefit. This isn’t worth much, to be honest, because ‘new scheme’ Gold has few benefits. More importantly, you can Marriott Bonvoy Gold status for free simply by taking out an American Express Platinum charge card, no spending required. If you collect Marriott Rewards / SPG points, the SPG Amex is a great way to build up your balance. Just don’t focus too much on spending £25,000 on the card to trigger the free night voucher. I have just canx my third SPG Amex. I like the card for the bonus, but once you have got that the ongoing earning rate gets cancelled out by the card fee. The fee is £6.25 per month, so at 1.5% return in points your fist £420 per month is eaten up by the card fee. Spending that much (difficult apart from over the Christmas period) on a one year Gold Credit card or a free BA Amex makes much more sense. Good to see some better choice now for the free night certificate. I’m still confused. The one night certificate for £25,000 spend doesn’t make sense to the point of thinking they don’t actually want you to put money through it. Just taking the Renaissance for example, it’s a category 4 hotel at 25,000 points a night. Surely that £25,000 spend values the ‘free’ certificate at £1000 a point? If you have Amex Platinum, refer and pick up 18,000 points, convert to Iberia avios and for the same date you can get the Renaissance for 12,400 avios a night and 5,600 avios in change. 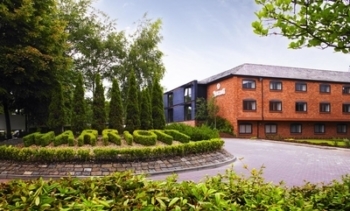 Parking is only £10 per night rather than the £15 Marriott currently charge as well. I just can’t make this card work for me anymore other than the sign up bonus on the referral card. Not too sure of your £1k a point argument but yes, the “prize” for £25k spend is poor. However, the card is still great for high spenders: 1.5% return on points that are pluripotent so add a bit on for optionality vs say BAPP at 1.5% of lowest common denominator avios. Thanks Genghis and Mr Dee. Alas math wasn’t my strong point at school! As I see it it still feels like I’d be dishing out £25,000 spend for one night at a category 4 hotel. I don’t personally value the flexible feature of Marriott points highly but looks like it works well for some. I’ve a few full service cat 2 hotels I frequent in asia which are great for just shutting the door and working interrupted for a week for 60,000 points. It’s not a £1000 a point and I think you meant £1 a point return. Which is actually pretty good. If you were spending 25k you’d also get the 1.5 points per £1 making 75k. I’m still having issue sending MR points from Gold card to Marriott a/c (even though my SPG Amex Card points are swept across to my Marriott a/c without problem each month; and same Marriott a/c number in both Gold and SPG Amex account areas). Can any HFPers suggest a way to get around the impasse? I’m losing my mind/hair/weight* (* delete as applicable) over this. I’m sure that you have checked, but my points from Platinum vanished into thin air because I had my old SPG number on the Amex points transfer page. They were returned eventually. I have recently repeatedly tried to sent some MR points to my Radisson account,no success.Sorry,an error had occurred!Anyone else in the same situation? OT- Any way to book a highly flexible ticket (to anywhere) with a view to change date or destination by paying the fare difference in future in order to use current Amex Platinum 200 off 600 offer? Isn’t it until 28th Feb? Bad idea. You’ve got a month to decide what to do with it. I wouldn’t leave it too long as charges from Tuesday are still pending for me. We’ve booked business returns to Tallinn via Helsinki – offer was on main and supp so 2×200 discounts. Was a trip we wanted to do anyway but it was a bit pricy (or maybe the memory of the £232 tier point run has distorted expectations!) Separate PNRs but we shall cope! As long as it goes to pending before 28th Feb it’s completely irrelevant when it posts. We took out our SPG Amex cards in May 2018 and we got Marriott Silver Elite …so this must have been going on for a while by the sounds of it. OT hotel booked with cancelled Amex plat which was non-refundable. There’s been a death in the family so my dad can’t make this booking I made using a cancelled card. Any room for manoeuvre given card is cancelled/non-refundable booking? maybe the Plat insurance will cover you? My grandmother died while my parents were away (on holiday booked with Plat). The insurance covered the return flights, and also the unused hotel bookings that were cancelled due to returning home. Hmm, didn’t read the comment about the card being cancelled. not sure, sorry. I once made a booking in error via booking.com which was non-refundable. I called them and explained and they telephoned the hotel concerned and actually refunded me. This was outside the T&C but nevertheless it happened. I see other people on TA have had the same happen to them. I think it largely comes down to the hotel. So if you booked through an OTA I guess the first thing to do is speak to them directly. Otherwise you’d have to deal with the hotel directly. I’m not aware that they are under any obligation to assist you but depends how good the customer service etc. is. No idea what you do about the card side of it. Some hotels can be very flexible even on non refundable rates. Sometimes they won’t refund you but will switch you to a different date for free, too. It’s all up to the hotel. OT – If I order a gold supplementary card for my Platinum which is complimentary, will this person be covered by Travel insurance worldwide (same as me main Platinum cardholder)? Thanks! Silver Elite was granted as soon as the two programmes merged. There was a chart mapping out how the spg levels would translate into marriott (and then on to bonvoy) and SPG Plus (as well as SPG Corporate – which was attained as soon as you put a corporate ID to your profile) both were matched to Silver. It’s the least they could do to be honest…. Can you re apply from the card after a 6 month break to get the sign up offer again ? Had ‘elite’ status for a while. It showed on marriott when linking accounts. Also, free breakfast on cash bookings, but not reward bookings. Quick q. 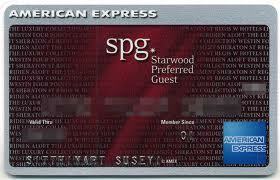 If I held the SPG amex card 3 years ago, do I still qualify for the sign up bonus again? Or is it once per lifetime? You qualify. Only needs a 6-month gap. I discovered I had silver status recently. It surprised me but thought it was listed as one of the benefits of the card and I just didn’t remember. Anyway, Marriott was really good to me on my recent stays and upgraded me to best rooms or exec, depending on location. What do you think the odds are on a new Marriott card? I have a lot of stays planned there, but wonder whether it is worth waiting it out for a new card rather than getting the existing SPG card. They said it was coming back but then it never did …. no idea what is going on.